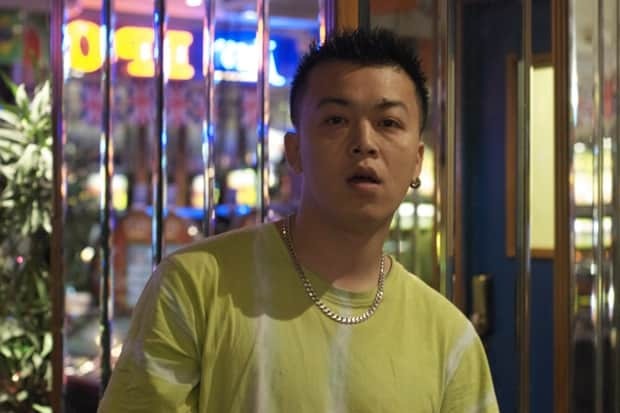 Despite all the conflicting information floating around on the web, Triad God appears to be the handle of one Vinh Ngan, a UK-based MC born of Vietnamese and Chinese parents who was raised in South-East London and raps primarily in Cantonese. While frequenting the casino circuit in the city's Chinatown district, he reportedly linked up with local producer Benjy Keating, aka Palmistry; the pair recorded a first EP, Aym G 4 Life, and then a viral mixtape called NXB, which is short-hand for "New Cross Boys," referring to the rough neighborhood where Vinh grew up. By a mysterious turn of events that may or may not have involved a tip from James Ferraro, NXB is being reissued by Los Angeles imprint Hippos in Tanks on November 13th, with a full-length in the works for 2013. On the Hippos website, Vinh describes NXB as a sum of the places and people that inspired it: "South London New Cross, Peckham, China Town / Bar / Club / Casino / Temple/ 2pac & Edison Chen." "Remand," the cinematic first NXB single, is equally border-defying, juxtaposing Vinh's drawling Chinese verse with a very post-dubstep-sounding amalgam of wonked vocal samples and wilting synths. Before re(unveiling) the track to the public, we asked Palmistry, who is not only Triad God's resident beatsmith but also his manager, to give us a little more background on this most unusual release. I moved to London after giving up gambling in 2007 to pursue music and learn music production. In 2011, I started hanging out in casinos in and around Chinatown while looking for a place to film a music video, [which is when I met] Vinh. After I told Vinh I was making music, he told me he wanted to be a rapper, from which I invited Vinh to my studio. Vinh and I share a love for Hong Kong, a place we've both never been. I find inspiration in Wong Kar Wai and Christopher Doyle and Vinh in Andy Lau's Young and Dangerous films. We started recording music, working on an EP called "Aym G 4 Life" ("my boys for life") in between watching Young and Dangerous films and hanging out and filming in Chinatown's casinos. We formed a strong friendship, and Triad God was formed. Triad God represents Vinh's musical output over the past year. Building on "Aym G 4 Life" comes NXB, or "New Cross Boys." NXB follows the theme of brotherhood with his old crew: the struggles they faced, and the lasting memories they left with him.